We are dedicated to the rescue and welfare of German Shepherd Dogs. 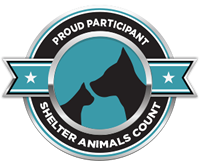 Our volunteers help foster and adopt dogs to willing homes. Please help us in our efforts, for their sake. Our homeless furry friends are in desperate need of a loving and caring home. If you cannot adopt, any act of kindness while they wait, will change their lives forever. 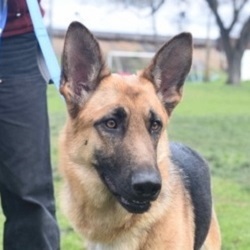 Come and see our wonderful homeless German Shepherds who need a loving caring home. 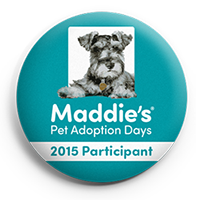 For a detailed listing of All our adoption events, please click the “Calendar” link above. For a list of dogs attending our next adoption event, please click the "Event Dogs" link above. 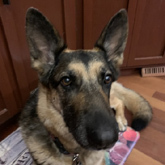 Shop On Amazon - Help Our German Shepherd Dogs ! 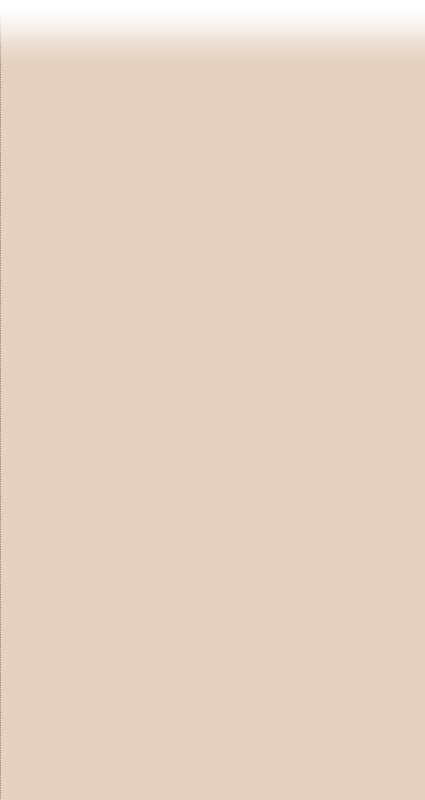 When you buy things at Amazon.com, GSRNC receives a donation from the AmazonSmiles Foundation equal to 0.5 % of eligible purchases. Just click the logo to the right before you shop. Our Dogs are the winners! If you're not sure just click below for details about this great news. 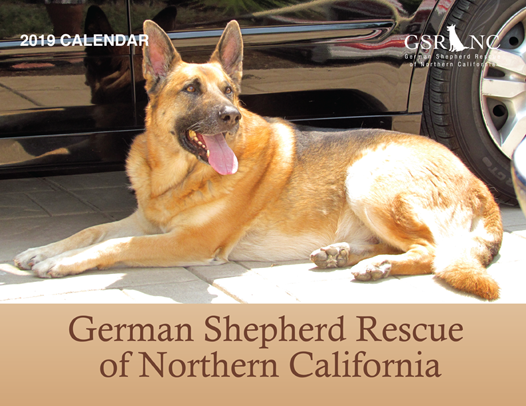 Help support GSRNC's rescue efforts by ordering our 2019 calendar today! 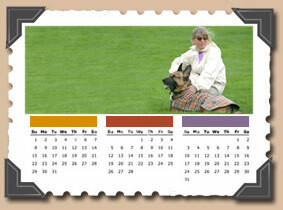 Our 8.5 x 11 wall calendars feature full-color, high quality photos of our amazing rescue dogs and make great gifts for all of the GSD lovers in your life! Purchase yours today before we sell out! Not all of our rescue Shepherds are lucky enough to be in foster homes; many remain in kennels. We'd like to place EVERY Rescue dog in a foster home where it can experience the love, care, and attention it needs and deserves while it is waiting to be adopted. 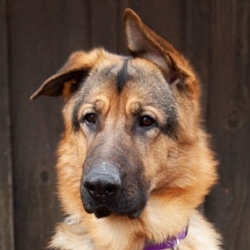 YOU can foster a German Shepherd Dog! 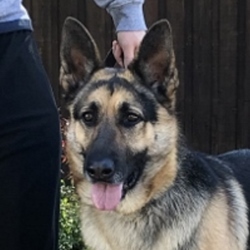 Our network of rescue volunteers is there to help you with advice, and Rescue pays for the care of the dog including food and authorized veterinary expenses. 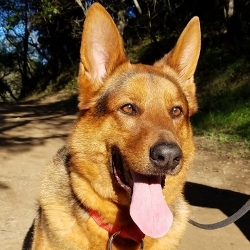 Won't you consider fostering a German Shepherd who wants a second chance at a happy life? Fostering is a very rewarding experience, not only for you, but for the dogs too! 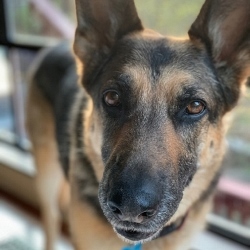 See a Shepherd's point of view on fostering! Often we are faced with finding the funds to pay for necessary, but expensive treatments. These are what we call “Special Needs” Rescues. Time constraints usually require that we pay for the expenses from general funds and then ask for contributions to offset the expenses. Our special needs fund, The Cody Program, has been established to provide financial support for these special occasions. Donations are used to pay for veterinary expenses for our Special Needs Shepherds. You can donate to this program by checking the box in our donation envelope. Lady Madonna, now known as Frieda, was adopted in 2014 and recently returned to rescue. Frieda loves people and was starved for human attention. She has quickly become attached to her foster family and likes to be their shadow. 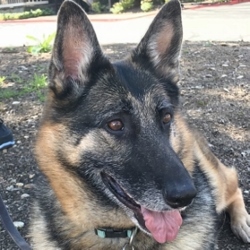 Come and visit Frieda at the Danville Adoption Day, April 20, 2019. Click below to read a pdf version of our quarterly newsletters.